Make those transitions between tri stages as simple and flawless as possible, with the help of the second generation of the Pursuit Wetsuit from Aqua Sphere. Perfect for all levels of triathlon from beginner all the way up to Ironman when the water’s chilly, the Aqua Sphere Pursuit 2.0 Wetsuit features stretchiness in all the right places for an astonishing feeling of freedom. Under the arms and on the lower back, 2mm Bio-Stretch panels let you make every stroke and kick count like never before. In other areas, 4mm Aqua Drive fabric features plenty of buoyancy to keep your body in the correct position while also significantly reducing drag through the water. 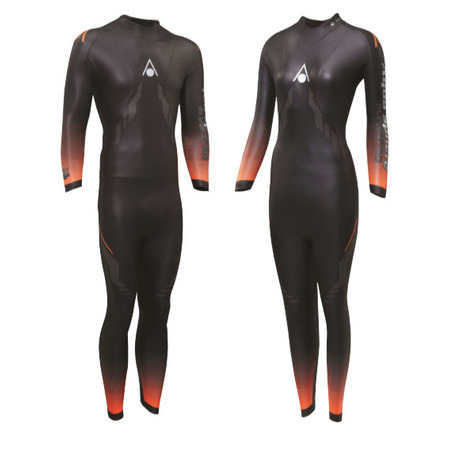 On the practicality front, the Pursuit Wetsuit features a quick-release ankle transition system, which allows you to get the suit off quickly and efficiently, the easy-pull deep back zipper is within reach alongside that and the inclusion of an Aqua-Flex collar ensures that water is kept out, so you don’t take on water or suffer from chafing. Against the skin, Yamamoto 38 Neoprene is soft to provide best-ever comfort, and there’s full UV protection to protect you against the sun’s harmful rays.